A decade and a half is a short time. But it is enough, if you have a clear vision. In this span, SPL has built a reputation for quality in Logistics Parks and Supply Chain Management. A line-up of more than 8 million sq ft effective and well planned Warehousing, Commercial, Textile and Chemical projects in Bhiwandi, near Mumbai, stands testimonial to this face. Durahomes is the only Industrial Township in Bhiwandi classified under Industrial zone I-2 spreading over 400 acres of land off NH-3 catering to various labour & capital intensive industries like Engineering, Textile, Garment, Weaving, I.T.,Plastic, Rubber, Automobile, Printing, Electrical & Electronic Equipments, Fabrication, Food Processing & Leather industries creating maximum employment opportunities & Business potential for locals, Thane & Mumbai city (MMR). 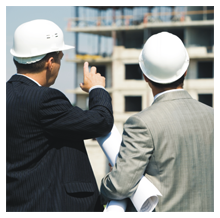 Like its earlier projects, the group has ensured that the smallest detail is looked into, whether it is infrastructure with in the complex or communication technological neccessities for today's businesses or maintaining a serene and peaceful environment.